Purbhanchal University offers a master's degree in Dairy Technology called Master of Science in Dairy Technology. It is a 2 years course under the faculty Biological, Biomedical and Food Sciences. The program is divided into four semesters. This course helps to strengthen and develop the sectors like diary, horticulture or medicinal plants. The students will learn about the individual processes as well as the whole production chain to produce quality products. The course will provide knowledge about the technologies and methodologies that convert raw milk into a variety of nutritious products. The students are required to submit research-based thesis at the end of the 4th semester. The weight of the theory and practical classes in each course is 60 & 40 percent, respectively. The students will undergo in-plant training for 3 months. 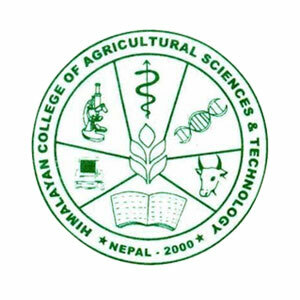 Himalayan College of Agriculture Science and Technology is the only college affiliated to Purbanchal University that offers Master of Science in Dairy Technology program. To develop diary facilities and services in our country. Only graduates of B. Sc. (Agriculture, Animal Science, Food/Dairy Science, Biotechnology); B.V. Sc. & A.H.; B. Tech. (Food/ Dairy) can apply for this course. The applicants should appear in the entrance examination conducted by Purbanchal University. Selection of the candidates is totally on merit basis. Nepal, after taking the membership of WTO (World Trade Organization) has to face a new challenge but is also gaining opportunity. Nepal is full of highly qualified and competent human resources that can help for the present and future development of Nepal. The graduates can pursue their career as dairy technologists, dairy scientists, dairy experts etc. The field has a wide scope within and outside Nepal. The salary paid to such posts is also high. Various ingredient companies, equipment and instrument manufacturers, and chemical companies seek for the M Sc in Dairy Technology graduates.